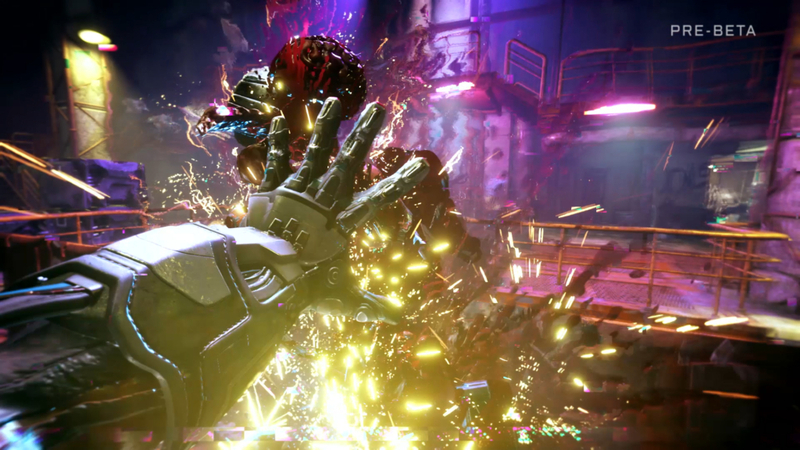 “We wanted to set Rage 2 apart from the original,” id Software Studio Director Tim Willits said for the third time. As we began a Q&A that capped off a 90-or-so-minute demo, he wanted to drive the point home. This time he was answering a question about the game’s brighter color palette and supposedly standalone story. The previous mention was in reference to weaponry. “We don’t have a classic sniper rifle in the game,” Willits explained. “We reward you for getting into the action.” Before that, he referenced the changes while elaborating on the game’s new, speaking protagonist, whose gender the player can now also choose. “There’s no id Software technology in this game,” the director made clear early on. Rage 2 is being developed in Avalanche Studios’ Apex engine, because the game is being co-developed by… well, Avalanche Studios. 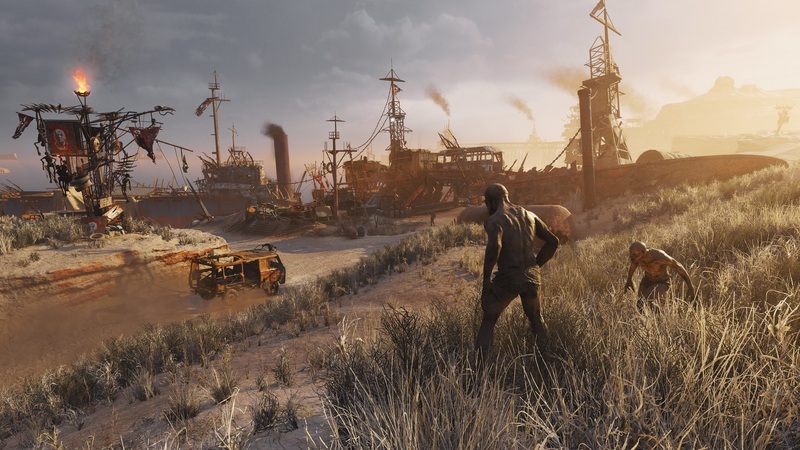 Though the Stockholm-based developer best known for the Just Cause series and 2015’s Mad Max is handling most work on the game, Willits maintained Rage 2 is absolutely a co-production between the teams. He emphasized that no matter who claims most design credit, every id game has a shared “DNA that flows through them.” He’s right. Regardless of who directly authored the new game, id’s imprint is undeniable. 2011’s Rage was a much more stationary shooter. Players were often encouraged to plant their feet behind cover and take aim at enemies that danced around linear levels. In Rage 2, staying still spells certain death. Foes move in the same unpredictable patterns, but now the player must join their opponents’ dance in more open, vertical spaces — and at much faster speeds. 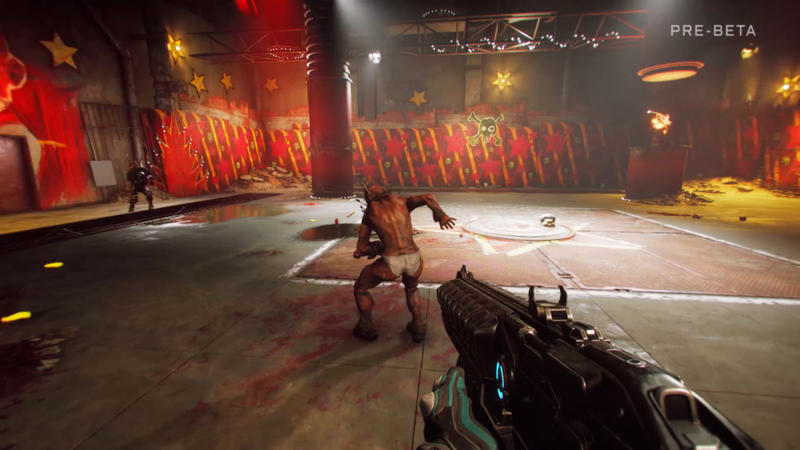 In this way, Rage 2 lives just as much, if not more, in the shadow of id’s own 2016 DOOM reboot than its namesake predecessor. Both franchises stay plenty differentiated by subgenre and verbs available to the player. DOOM is a straightforward action game with platforming puzzles. 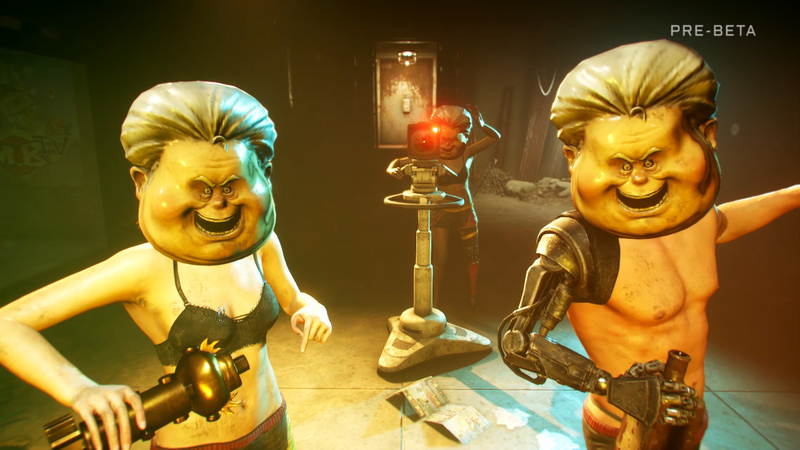 Rage 2 is an open-world affair. But it’s tough for Rage 2 to not feel like a post-DOOM do-over — as much of a reboot as the 2016 game — with Avalanche’s signature open-world chaos added for good measure. The world of the first Rage was largely broken into two discrete types of area: closed-off, on-foot shooting sections and vehicle-focused zones for racing and car combat. The sequel’s open-air approach to overworld arenas helps blend these spaces. There are fewer momentum-killing moments where you climb out of your car and into skinny passageways. In a clip shown before the demo, the protagonist flew high over the map in a small aerial vehicle, which made no appearance during our hands-on time. Although it represents one of Rage 2’s most radical shifts in traversal. Regardless of your transportation method, it’s easier than ever to hop out and immediately unleash gunfire or any of the game’s new suite of powers. You might launch a Vortex Grenade to pull enemies toward a center point, then smash them with a zone-clearing Ground Slam. If a straggler remains, you can drop a deadly Barrier before flinging a Wingstick (basically a bladed boomerang that can lock onto enemies) around it to decapitate the target. Or you could dash into their face and blow them to bloody bits with Shatter. Dashing is honestly at the heart of Rage 2’s focus on mobility. It was my only means of surviving an otherwise simple boss fight (insert hackneyed Bloodborne comparison here; I’m sorry, I’m sorry) and was my most reliable tool in every combat scenario. Traditional firearms have received their own new spins, too. Aiming weapons primes an alternate firing mode — or at least allows the use of iron sights. That’s another DOOM similarity for you. When things slowed down, I took my time exploring Wellspring; a hub zone that returns from the first game. Thirty years later, the quiet backwater has retained its lived-in charm, and is now home to a sliver of neon nightlife. Each NPC I engaged with had a unique name and offered a side mission to complete at my convenience. I also got to know Loosum Hagar — one of the game’s central “dagger” characters named for their desire to put a dagger through the heart of the villainous Authority. Interacting with these (also returning) characters moves the plot forward. But it also advances skill trees known as “Projects.” Loosum runs Wellspring and enlists Walker, the protagonist, to spy on the club-owning, crime lord son of the former Mayor Clayton. He’s conspiring to steal her job and that just won’t do. Though they’re out to avenge the death of their loved ones and the destruction of their hometown/tutorial zone, Walker didn’t exude an ounce of personality during the demo. They’re fully voiced and their tragic, clichéd backstory is what kicks events into motion. Although even Willits admitted the decision to record the character’s VO was mainly to facilitate exposition. I was similarly underwhelmed by the sequel’s take on racing. Although, to be fair, I only engaged in one competition against AI. Like in the last game, despite my constant crashing, I won the race. Both the camera and the steering felt a tad too sensitive for my taste. But that may have been due to being thrown a quarter of the way into the game. Either way, car combat in the open world is the stronger, more freeform experience. Performing 180-degree turns with the emergency brake felt satisfyingly precise and easy to pull off. This isn’t to say the racing felt out of place; it just felt predictable next to the game’s otherwise revamped systems. Despite so many changes, Rage 2 really does appear to be the shared vision of id and Avalanche. An ex-level designer, Willits admits the Swedish devs opened his eyes to designing zones that have more than just straightforward beginnings, middles, and ends. “More exploding barrels! That’s an Avalanche thing! More stuff that swings and breaks and blows up and falls over,” he claims to have said to the other team. His enthusiasm isn’t misplaced. 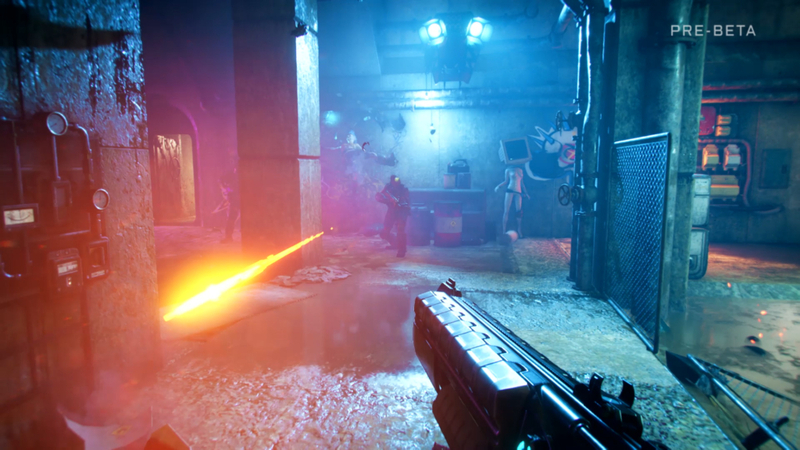 The most compelling parts of Rage 2 feel equally lifted from something like Just Cause and DOOM: tethering and launching enemies, a pistol with an alternate fire that shoots remote charges, a double jump. It feels as if id gestured to DOOM and said to Avalanche, “Here’s how high the bar is now. Please show us how to do the same for Rage.” In parts, it looks like they could meet that goal. 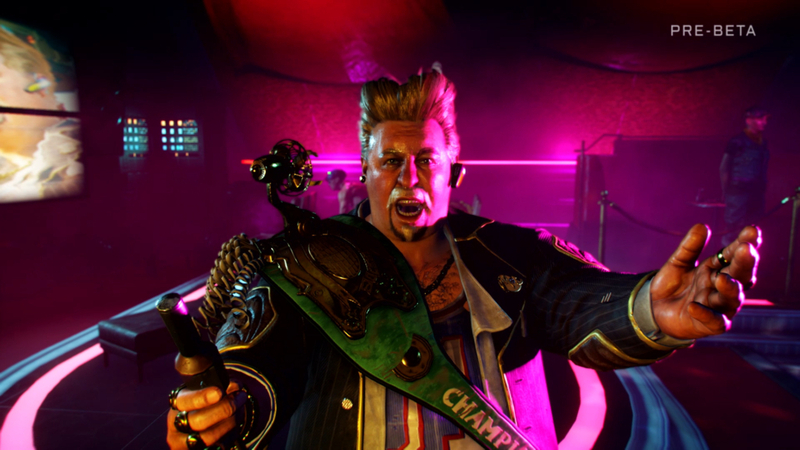 Rage 2 isn’t the only open-world, post-apocalyptic shooter coming out this year (nor is it the only one so brightly colored), but the demo pointed to its place as a strong contender in the pack. The Avalanche and id co-production comes to Xbox One, PS4, and PC on May 14th.